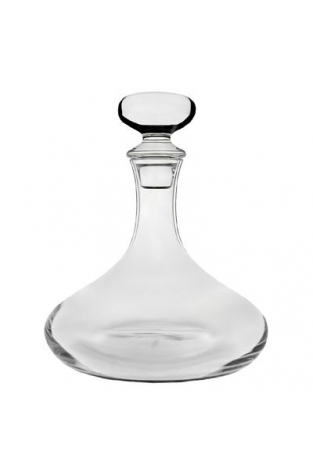 Les Cepages decanter is hand-blown from crystalline glass and also has a loose fitting glass stopper. A great gift with a bottle of wine. 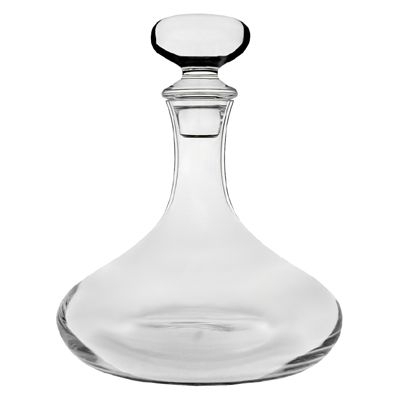 Our Les Cepages glass decanter is hand-blown from crystalline glass and also features a loose fitting glass stopper. It has a traditional wide-base design and forms part of the Lehmann Glass collection. The capacity of this beautiful vessel is 75cl (single bottle size) leaving plenty of surface area for the wine to "breathe". This would make a splendid wedding or anniversary present for someone especially with the addition of a bottle of red wine from our wide selection.